Food! Of course we have to start from here. 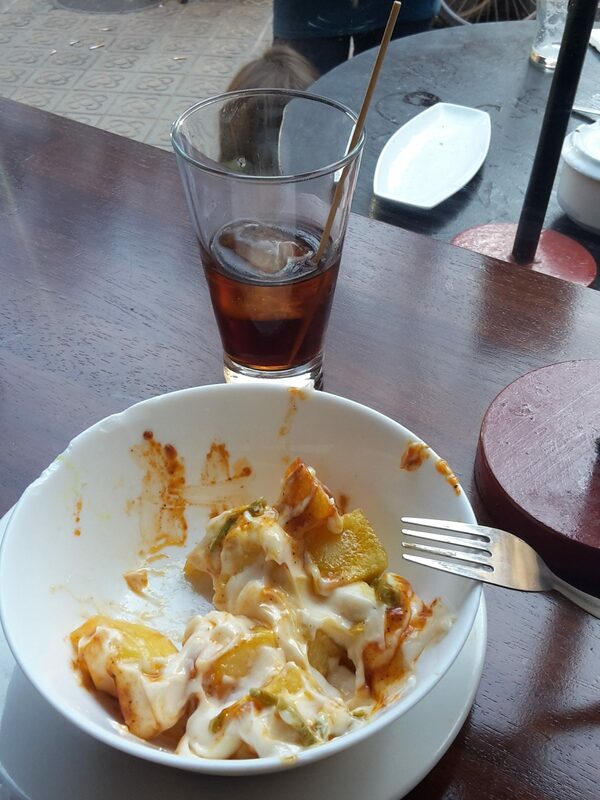 The patatas bravas consist of potatoes, roughly cut in cubes and fried. The sauces are a key ingredient as well. Typically they are served with salsa brava and allioli. The salsa brava can be more or less spicy: we found the two extremes. The allioli is instead a sauce made of garlic and olive oil. They are the most classical tapa and you can find them pretty much anywhere in Barcelona. Some of our favorites were the one served in a small place in the Born quarter called Cat Bar. The patatas bravas were a perfect match with the delicious beers they were serving! Another restaurant where to eat bravas, and tapas in general since it has a really high quality/price ratio, is Las Delicias. 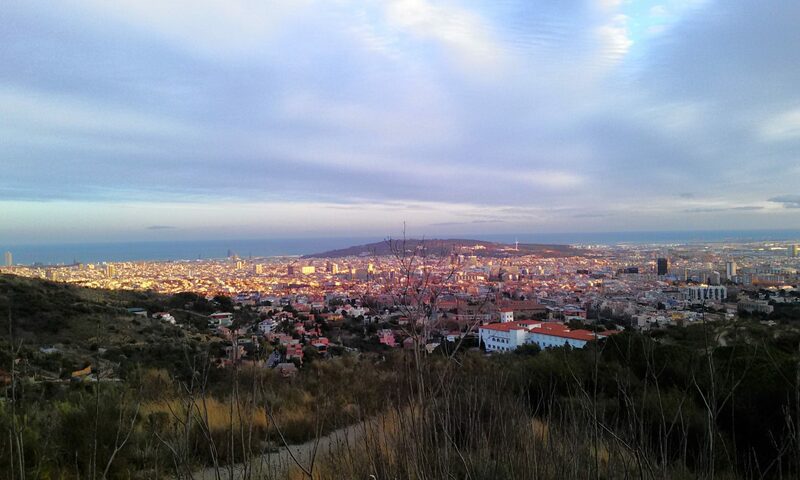 After eating there you could go up to the Bunkers del Carmel and enjoy one of the best view of Barcelona! Another tapa that we like very much are the croquetas. They are small breadcrumbed fried food roll. The most typical ones are made with meat and bechamel sauce but you can find many flavors (cheese, mushroom, squid, etc). The best croquetas we found are in a small restaurant in the Gotic – Bodega La Palma (good bravas as well!). We highly recommend to try the croquetas de calamares en su tinta. Our mouth is watering just to think about it! Have you ever walked around at night, during winter, being cold and a little hungry? Well, churros with chocolate is what you were missing in that moment! Churros are fried pastries, often sprinkled (or covered) with sugar. They are served together with a cup of hot chocolate so you can dip them. You can find them pretty much everywhere in the city, but the most famous (and centric) place where to get them is carrer Petritxol, close to the ramblas. The whole street is full of churrerias, but be careful that a lot of them close early and are very full. The vermut is an aromatized wine, served with a slice of orange and an olive. Getting a vermut with friends on a Sunday became one of the tradition we miss the most from our time in Barcelona. Usually we enjoyed it at lunch time while eating some tapas. Unfortunately the place where we usually went closed down some time ago, but the vermut is highly popular so you will have no problem finding a bar serving it. 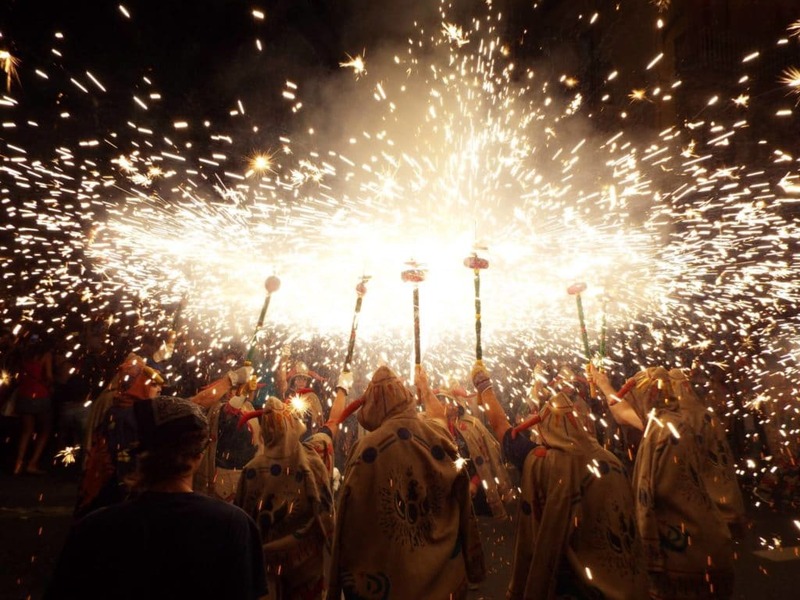 The correfocs of the fiesta mayor of the Gracia neighborhood. A fiesta mayor is a yearly celebrations of a neighborhood or a city. Almost every neighborhood has its own! From Poblesec to El Carmel, from Guinardó to Sant Gervasi. All summer long, you can go from one fiesta mayor to the other! They all comprise music, mostly live, food, activities for adults and kids and a lot of people celebrating in the streets. 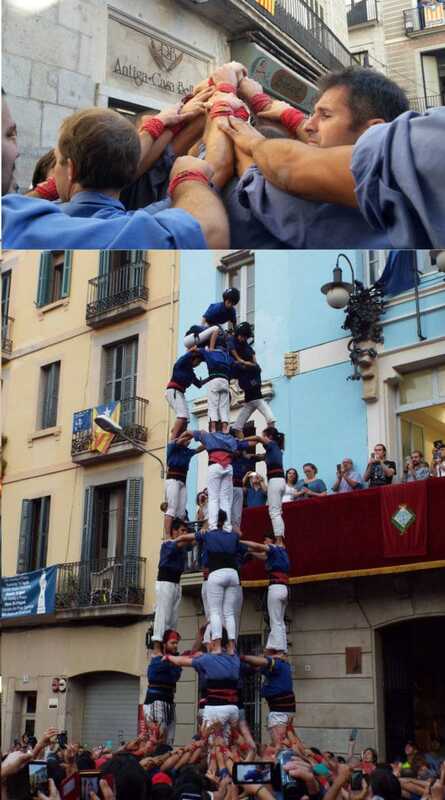 Traditionally, you can also see the castellers, human pyramids, and the correfocs, people dressed as devils, lighting fireworks and dancing in the street. In some of those celebrations, the most famous example being Gracia, the street are decorated in carnival style. All the decorations are coming from recycled material that they collect during the year. They have a competition to crown the street with the best decorations. 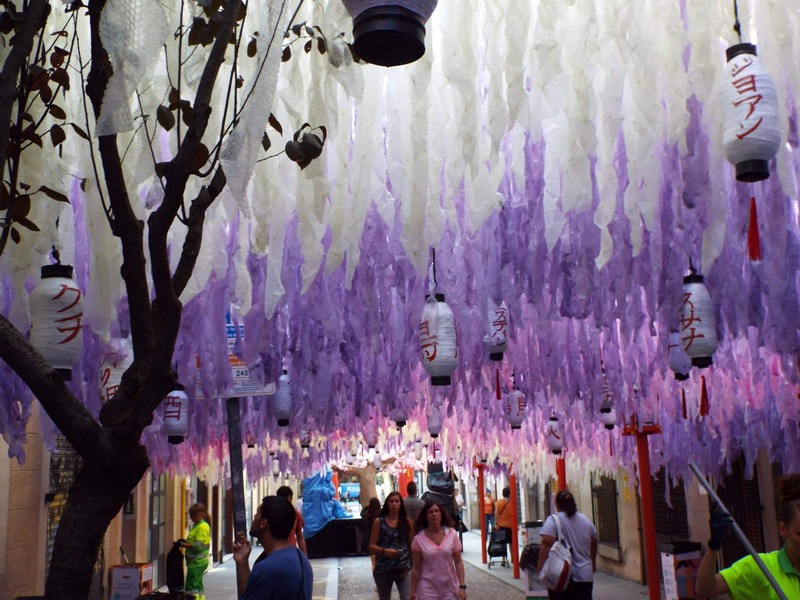 Another example of these decorated streets can be found at the fiesta in Sants, at the end of August. This last fiesta mayor is really special to us because it is where we met for the first time more than two years ago! The region surrounding Barcelona is extremely various and beautiful: sea, rivers, parks, mountains, cities and villages… There’s always something to discover! Part of the rocky cliffs surrounding the Cala de Castell in the Costa Brava. The first thing that comes to our mind is the coast (that Paolo misses above everything else). 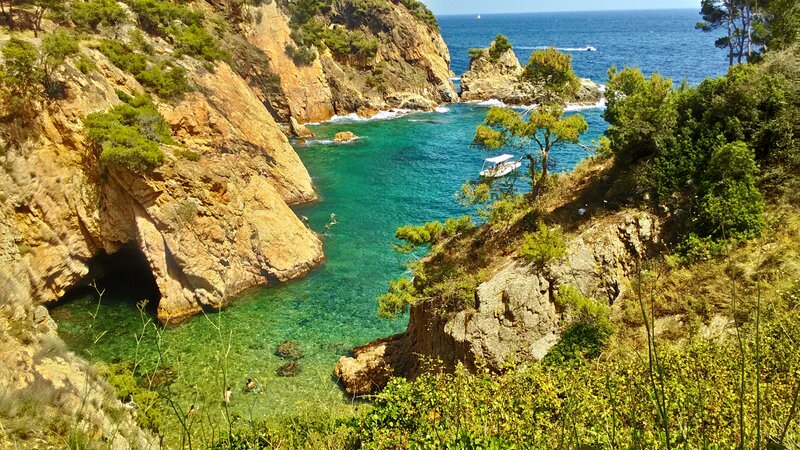 It’s true that Barcelona has its own beaches, but they cannot compare with the beauty of the rocky Costa Brava, our favorite, in the north, and the sandy Costa Daurada in the south. 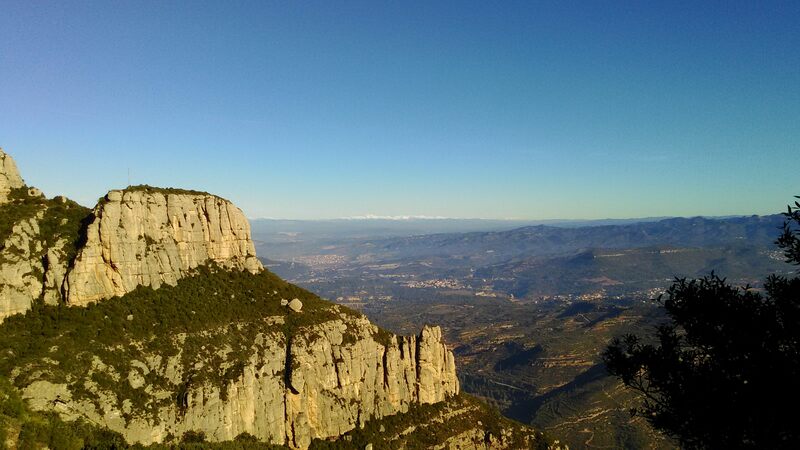 View from the Montserrat mountain. If you like hiking (or climbing! ), there are plenty of possibilities to walk in nearby natural parks. The Collserola (from which you have a fantastic view of the city), Montseny, Garraf, Montserrat, they are just some examples of the many parks reachable from the city using public transportation. And don’t forget that the Pyrenees are not far either! A lot of charming smaller cities and villages are also disseminated in the whole region. 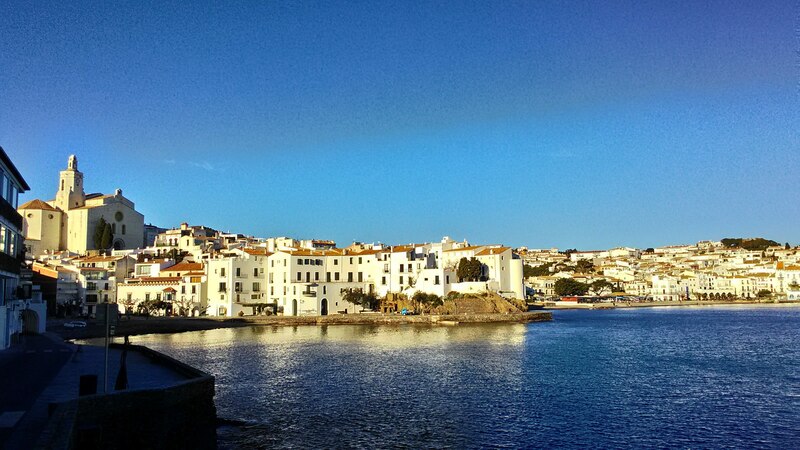 Cadaques is just one example of these villages. It is a little far away, but still close enough for a day. It is a coastal village of white houses, one of which belonged to Salvador Dalì.